As promised, here is your participation gift. 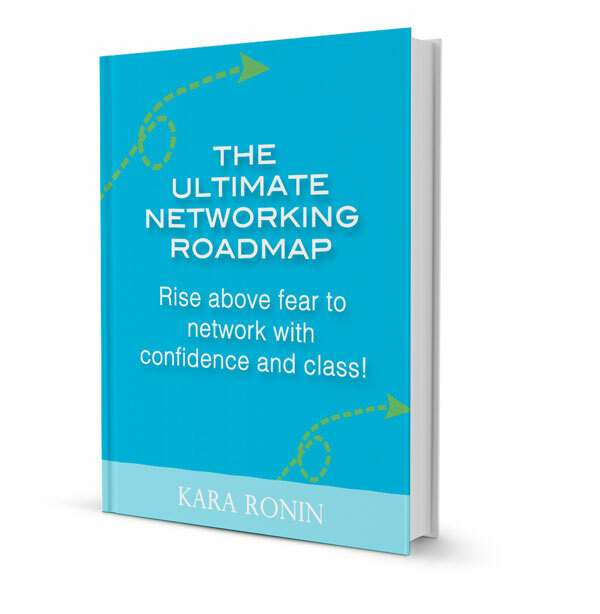 It’s the first 26 pages of the eBook, “The Ultimate Networking Roadmap: Rise Above Fear to Network With Confidence and Class”. Click on the above image to download your gift. The complete eBook is normally priced at US$87. Because I’m grateful for your thoughts and support, you have the first 26 pages of this eBook (valued at US$29) for free! If you have any problems downloading this free gift, please e-mail me directly at contact@executive-impressions.com. Thank you so much for sharing with me your insights and opinions. I hope you enjoy reading The Ultimate Networking Roadmap. I wish you a wonderful week, wherever you are in the world.